CALL NOW Toll free 1.844.224.3733. EvaluationCredentials.com is on your team at all times. 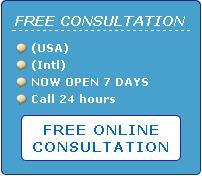 We are your advocate and will work on your foreign credential evaluation to give you the strongest case you can have. We watch your education and the requirements you need at all times. Remember – employment, university admissions and most of all immigration evaluations have different requirements.Our director Sheila Danzig processes all of the www.EvaluationCredentials.com foreign degree evaluations though CCI which is widely accepted. Providing evaluations since 2002 we are here to help you as we have helped thousands like you. Specialty Occupation and Wage Level H1B RFEs: Who Dropped the Ball? Attention: H1B Filing Opens TODAY!!! GREAT CAREERS IN TWO YEARS. AN ASSOCIATE DEGREE IS ALL YOU NEED!